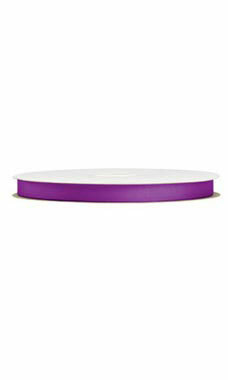 Take your packaging to the next level with our Ultra Violet Grosgrain ribbon. Our Ultra Violet grosgrain ribbon features a matte ribbed finish on both sides! The ribbon is made of 100% polyester. The 5/8" wide ribbon is conveniently sold on 100 yard rolls. This ribbon is a wonderful choice for all types of applications including packaging and crafts. All of our ribbon coordinates beautifully with our merchandise and gift bags.